In the genre of game music, I think the most universally loved theme by people all over the world is "Mario Music". Kondo-san, as the composer of this music, you talked about "ensuring that the sound for the game would have the ‘Essence of Mario’" when you introduced yourself. What exactly is this "Essence of Mario" with regards to game music? That's actually a very hard question. Even as someone who's been doing this for so long, I'm really not able to put it into words. There are an increasing number of people who are getting involved with Mario games, including people from outside our company, and though I am asked that question a lot by them, it's not something that I am able to answer in just a couple of words. It’s hard to put it into words, but I think there clearly is something that defines the "Essence of Mario". I have touched on this in the last interview, but when everyone discussed what the "Essence of Zelda" might be, we really couldn’t come up with a single, clear definition of what it was. On the other hand, with the "Essence of Mario", it seems to me that everyone has their own opinion about what the "Essence of Mario" is, which differs depending on that person’s perspective. The “Essence of Mario” was something I really thought about a lot when I knew that I would be in charge of the composition of music for this game. And the conclusion I hit upon was Latin music. Percussion instruments of Latin origin have been used frequently throughout the Mario series, like the steel drums4, bongos and congas5. Thinking that Mario music always used Latin music, I asked Kondo-san about it, but he told me that this Latin sound was never something he had been conscious of using. 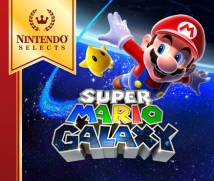 So when it was decided that I would compose the theme tune for Super Mario Galaxy, I tried not to rely on the orchestral sound that I was most comfortable with. I tried to make a piece that was pop with a taste of the tropics, and had a space-like feel to it... 4 Steel drums are percussion instruments originating from Trinidad and Tobago, and are made of steel barrels. 5 Bongos and congas are small drums used in Latin music. I mainly used Latin instruments, and expressed the space part by using a synthesiser to create that sound you hear in old Sci-Fi movies. 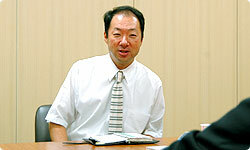 The track isn't used in the final game so the players won't get to hear it, but it had actually been approved at one point by Koizumi-san, the director. My love for Nintendo games goes back a long time and I have spent a long time playing all the Mario games thoroughly. I was full of confidence when I presented that track to Kondo-san. But when I asked him "This is how Mario music should be, right?" he just replied "This is no good". I remember observing Yokota-san at the time. He looked so down about it that I felt really sorry for him. He really did say "If this doesn't work, I will quit my job!" When the track was rejected, the words that Kondo-san had said really stuck with me. 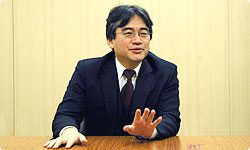 Those words were "Yokota-san, if somewhere in your mind you have an image that Mario is cute, please get rid of it." When I heard that, I realised that I had always had this image that Mario was a character for kids, and without realising it, I had been composing “cute” music that I thought would appeal to children. I asked Kondo-san at the time, "Then what kind of music would work with Mario?” He replied that "Mario is cool". When I worked on composing music for Mario, I never had the image of Mario being cute. I had always worked on composing music based on what I thought was cool at that moment in time. For the Mario games on the SNES and the Nintendo 64, I composed the music thinking about what kind of music was popular, and what was going on in the world at the time. I composed music that I thought sounded cool at the time, and I made it fit the visuals of Mario games. Thinking back to the way I composed the music back then, I think saying that "Mario's music should sound cool" is the most apposite way to describe what these pieces are aiming for. When the first piece I made was rejected, Kondo-san told me "Well, we have plenty of time. You’re just going to have to rack your brains and come up with a better one". On top of that, Koizumi-san, the director, complimented me saying "It wasn't so bad". I was told "Even if it doesn't work out now, someday you will be done with all this", and from then, I struggled for about three months.